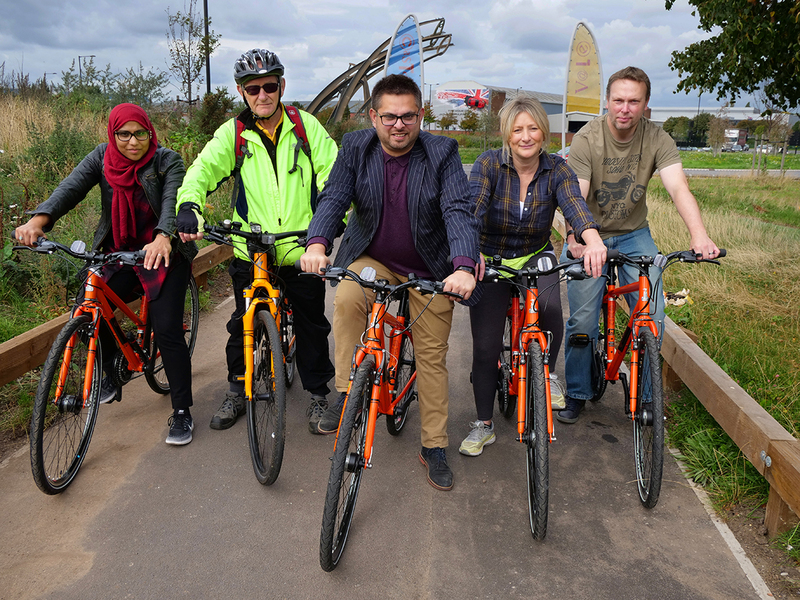 The Pioneer Group, working with Birmingham City Council, has aided the reopening of a beloved cycle path in Castle Vale, encouraging residents from all over to ‘get on their bikes’. Saturday 15th September saw the launch of the new cycle path with Councillor Waseem Zaffar, Cabinet Member for Transportation, Councillor Suzanne Webb and Ken Sims, Chair of Castle Vale Community Housing, leading the first ride along. The event was supported by the Active Wellbeing Society, a Community Benefit Society that offers free activities to connect with your local communities, along with Active Streets and Big Birmingham Bikes. This is a great opportunity to encourage local residents to become more active and provide a better connection to the Castle Vale district. Wagtail Walk is a special piece of Castle Vale’s story and we’re thrilled to have been able to restore it to its intended purpose. Project Wagtail was originally introduced by Jez Lilley, a local Castle Vale resident, in 1996. Committed to improving the area’s outdoor space, Mr Lilley was recruited as Community Development Officer with the Environmental Team after the success of his community regeneration projects. From there, a network of pathways surrounding and bisecting Castle Vale was created to offer pedestrian access to local amenities. Unfortunately, the Wagtail Walk route was affected in 2016 after some extensive works were carried out on Spitfire Island. The City Council implemented a series of measures to protect residents from noise pollution. One of these measures included placing an acoustic bund (a specialised mound of soil designed to create a barrier for noise-sensitive properties) as a visual screen between Avery Croft and Cadbury Drive. Unfortunately, this affected the Wagtail Walk route and while steps were built in to enable walkers, the bund was still too steep for cyclists therefore preventing access. After consultation on options to reconnect the Wagtail cycle route, the city built a new pathway ensuring residents still had access to their homes, yet avoiding the steepest part of the bund. Cyclists are welcomed from all over Castle Vale to ‘saddle up’ and explore area back on two wheels.